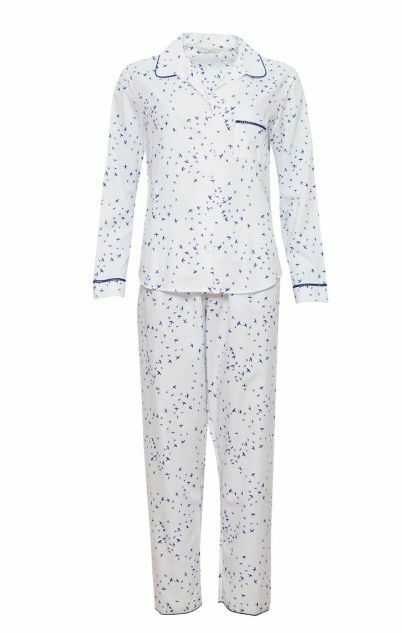 Fly off to the land of nod in our Adele woven bird print Pyjama set in super-soft 60% cotton, 40% modal. The top features a shaped revere collar and single pocket while the pants have a fully elasticated waistband with a working drawstring. 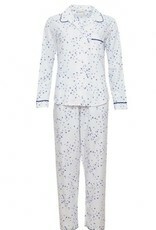 The set is beautifully finished with navy ladder lace and navy modal piping. For a head-to-toe look complete your set with the matching long robe.